I've recently gotten into a creative writing community online focused around a secret organization that works to protect life as we know it from bizarre and dangerous, other worldly objects and entities that would upset our day to day lives. From giant unkillable humanoids to everyday household items with unusual properties, they secure, contain and protect them from us and us from them. At least, the organization this community writes about does. Recently it was brought up that we often see fan art of the same beings drawn again and again and that other unknowns get no love. Thus a new monthly challenge was cooked up and an underdog selected to get a chance in the spot light. I was too slow to get my drawing in for the contest, (didn't start it until well after the deadline) but I wanted to complete it anyways. 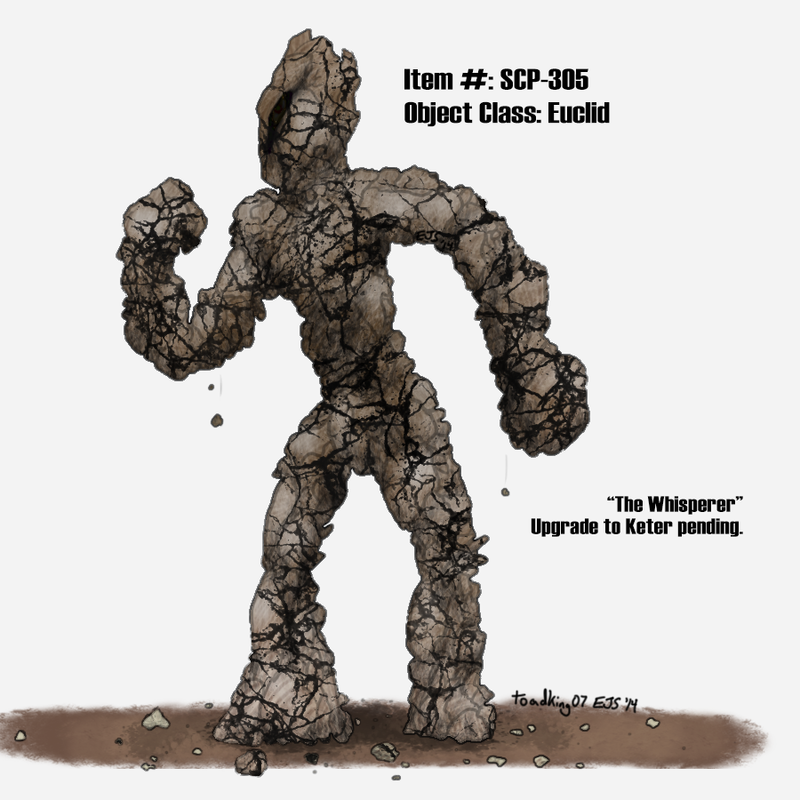 SCP-305 was picked because the description gives us an image but isn't completely locked down. It's some sort of humanoid shaped rock formation that has cracks in it and occasionally moves and might have something imprisoned inside it. Pushed for darker shadows and brighter highlights and played around with the volume on the stones. Tried to lessen the black cracks/lines I originally was going with but could never quite remove them as I felt it helped define the stones better. Added an eye to the crack because I thought that was the easiest way to hint there is something in there that we don't want to get out. Anyways, haven't been updating this blog as much as I want to just because life is lemons right now, but I'm keeping things moving and hopefully will have more to update here soon! Also, apparently I'm too cool to proof read my posts at times! Not really sure how many people read this anyways, but oh well.